"This country needs an all-out, all-of-the-above strategy that develops every available source of American energy, a strategy that's cleaner, cheaper, and full of new jobs," said Pres. Obama in his election-year State of the Union address. Under the DOE-sponsored advanced vehicle design program, the UW team will design its hybrid car, a 2013 Malibu donated by GM, to operate on B20, partly in an effort to help raise awareness that diesel engines can be highly efficient and ultra-clean. A fleet of school buses in the UAE will soon be fueled by biodiesel. Lootah Biofuels and School Transport Services recently signed a cooperation agreement that aims to reduce the carbon footprint of the STS fleet through the use of biodiesel blends. The United Soybean Board recently announced it plans to deliver funds through its Green Ribbon Fairs reimbursement program encouraging fairs across the country to promote the use of soy-based products, including biodiesel. Apply by Feb. 6. 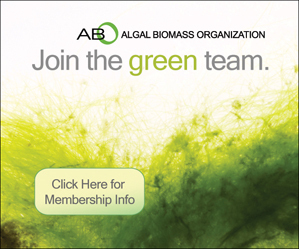 Algae technology developer OriginOil Inc. and Idaho National Lab have announced plans to co-develop an integrated system for direct conversion of algae into renewable crude oil that can be refined into a host of advanced biofuels and biochemicals. San Diego-based SG Biofuels Inc. has secured $17 million in a Series B round of financing led by Thomas, McNerney & Partners with participation from Finistere Ventures and existing investors Flint Hills Resources LLC and Life Technologies Corp.
Clean Cities coalitions in Texas have partnered with Renewable Energy Group Inc. and wholesale biodiesel distributor Bosselman Energy to co-host four workshops in four different cities throughout the state in order to educate downstream stakeholders. REG Inc. announced the pricing of its initial public offering of 7,200,000 shares of common stock at a price to the public of $10 per share. The shares are expected to begin trading on The Nasdaq Global Market on Jan. 19 under the symbol "REGI."